NKO™ (Neptune Krill Oil) is a low temperature extract of the abundant Antarctic krill (Euphausia superba) and it contains unique phospholipids Omega-3 PUFAs (EPA and DHA). • Lipid Management—NKO™ supports healthy blood lipids. • Brain Nutrition—NKO™ contains ultra-potent marine lipids which enhance brain function. • Menstrual Discomforts—NKO™ relieves emotional and physical menstrual discomforts. Take 2 softgels daily with the first meal for 30 days, then 1 softgel daily thereafter, or as directed by a qualified health consultant. WARNING: People with seafood allergy, coagulopathy or taking anticoagulants or other medications or facing surgery should notify their physician before using. Other Ingredients: Other Ingredients: Softgel consists of gelatin, glycerin and water. Store in a cool, dry place. Contains: Shellfish (Antarctic krill). 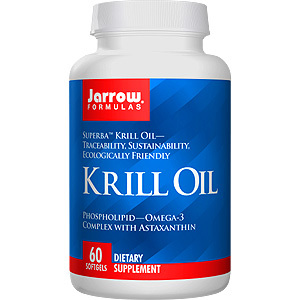 NKO Neptune Krill Oil - is shipped in a discrete, unmarked package. Orders are processed immediately and usually take about 3 to 5 working days to be received. We do ask that you try it for 2 to 3 weeks to feel the full effects. Any information received is used only for order processing and shipping purposes. Your information, such as e-mail address, will never be disclosed to a third party.